Birla Carbon Company held a competition under the name of “Towards a Sustainable Future” on Tuesday 26/6/2018 where eight engineering projects were submitted by three groups of PUA students from the departments of Electrical, Petrochemical and Mechanical Engineering. Each of the Mechanical and Petrochemical Engineering Departments submitted three projects. Meanwhile the Electrical Engineering Department presented two projects in the competition. 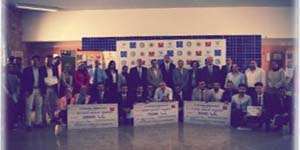 The panel of the competition was comprised of three judges: Prof. Mohamed Naeim Anwar, the Vice Dean of the faculty of Engineering for Student Affairs and Education; Dr. Amr El Saadani, a lecturer at the Computer Engineering Department and Eng. Atef Al Ashy, a representative of the Birla Carbon Company. 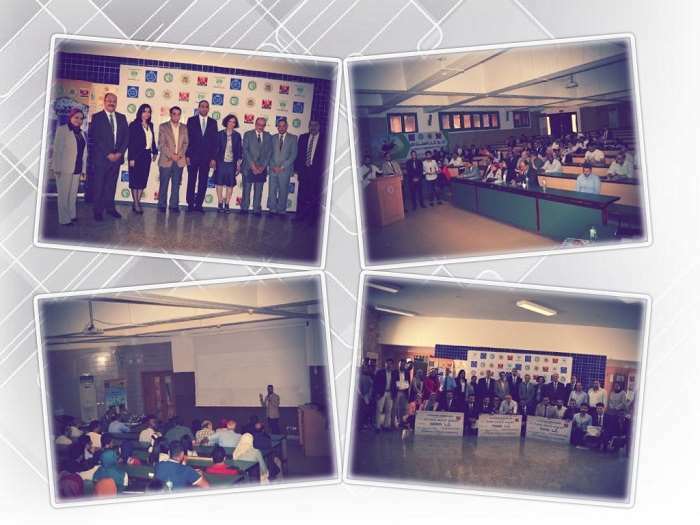 After discussing the students’ projects, Birla Carbon Company held a prize-giving ceremony to announce the competition results. The ceremony was held in the presence of Prof. Mahmoud Mohy El-Din, the President of Pharos University; Prof. Norhan Fanaky, the Vice-President for Education and Student affairs; Eng. Ayman Attia, the Chairman of the Board of Directors of the Arab Contractors Company and a delegation of the KTH Royal Institute of Technology. In addition, heads of departments, some of the academic staff members and students of the faculty of Engineering attended the ceremony. – At the first place came the electrical engineering project “Photovoltaics: A Path to Sustainable Futures” which won a prize worth 15000 L.E. The project was submitted under the supervision of Dr. Ahmed Abdallah. – At the second place came the petrochemical engineering project “Oily Waste Water Treatment Using Ceramic Membranes” which won a prize worth 10000 L.E. The project was submitted under the supervision of Prof. Mona Othman. – At the third place came the mechanical engineering project “Power Generation Using Speed Bump” which won a prize worth 5000 L.E. The project was submitted under the supervision of Dr. Mostafa El Hadary.